For Tasha Peters and her husband Marshall, presenting beautiful, mouth-watering cuisine with personalized service is of the utmost importance. In fact, it’s the cornerstone of By Design Catering, the business that the couple owns and operates in St. Augustine. The evolution of By Design Catering, which provides catering and personal chef services, began with a passion shared by the couple. Both graduates of Johnson & Wales University, the Peters’ bring a strong restaurant background, impeccably planned menus, delectable dishes, and a natural attention to customer service that sets the company apart from competitors. 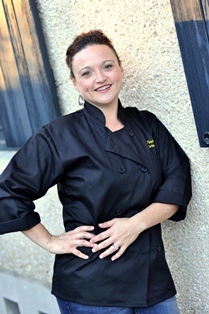 Having grown up in a southern household, Tasha began cooking from a young age and developed a passion for creating great food experiences for guests that parallels her joy in making the business work. “As a chef and caterer, the smile on clients’ faces when we have exceeded their expectations is wonderful,” says Tasha with a smile.